The New Hampshire court system has begun reassessing the sentences of so-called ‘juvenile lifers,’ those who have received life in prison without parole for crimes committed in adolescence. 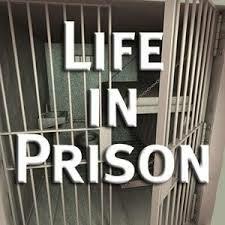 Many have contested the notion of condemning teens to life in prison. Research has shown their reasoning faculties are not on par with those of adults, and their pre-frontal cortex is not yet fully developed. This makes teens far more susceptible to acting on emotional impulse rather than reason. In 2012, the Supreme Court issued a ruling which made it unconstitutional to impose mandatory life sentencing without parole for juveniles, precisely because of their tendency towards recklessness and impulse. For the eligible group of NH juvenile lifers, the first resentencing has been handed down to one Eduardo Lopez, Jr. Lopez is 43 and serving life in prison for the murder of a Nashua resident while on a robbery spree in 1991, when he was 17 years old. Per the ruling of Judge Larry Smukler, Lopez will now be eligible for parole when he is 62. The prosecution argued that Lopez committed his crimes with intent, and that it was only fair to the victim’s families that he serve another 25 years in prison. “This defendant planned his crimes in advance, at least a month and a half in advance, took steps to hide evidence, took steps to cover up his crimes and attacked multiple victims,” said prosecutor Jeff Strelzin. “[The victim’s family] feel that they were promised something by the criminal justice system 26 years ago and now it’s all changed” after the Supreme Court ruling. The defense argued that Lopez has grown and matured since committing the crime. Through tears, he told the court and victim’s family that he “was not a monster,” and that he planned to mentor troubled youth and coach sports upon his release. The resentencing reflects progress within the criminal justice system, but some believe a 45-year sentence for a teenager still errs on the side of harsh and overly punitive. The criminal justice system is a delicate balance of ethics; it must do right by both the victim and the accused. Despite an earnest effort to be objective, emotional responses by the judge and jury may have a hand in sentencing. Sentences are sometimes too heavy-handed and must be reevaluated, as we saw in Lopez’s case. It is the job of a New Hampshire criminal defense attorney to protect the rights and best interest of criminal defendants in New Hampshire. Drawn-out prison sentences may seem fitting to a victim’s family or an overzealous prosecution, but they ignore the propensity and ability of the defendant to change. The purpose of the justice system is not to indiscriminately carry out severe punishment and issue inflated sentences, but to serve evenhanded punishments and ultimately rehabilitate the defendant. It is in the best interest of everyone involved that the defendant serve time, but eventually become a productive and reformed member of society. If you are facing criminal charges in the state of New Hampshire, you will require skilled legal counsel to uphold your rights and defend your case. Do not hesitate to contact the experienced criminal defense attorneys at Tenn And Tenn, P.A. for a free consultation today.